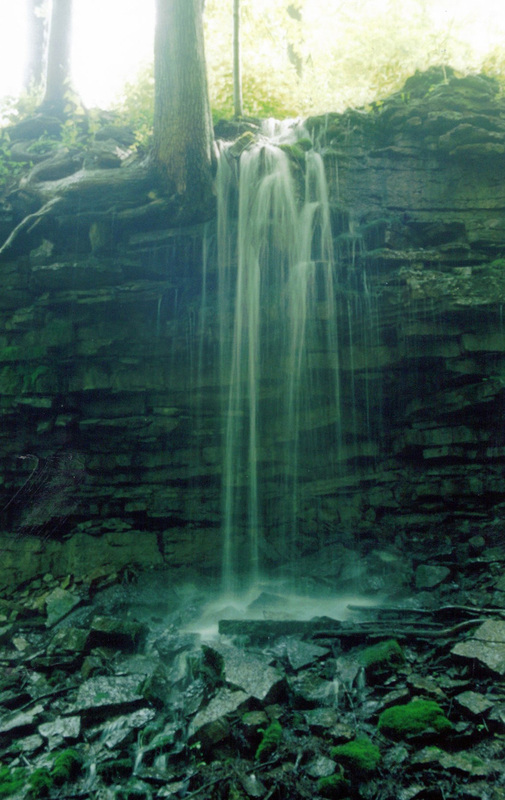 Brown’s Falls is a Ribbon Falls measuring 5 metres (16 feet) tall and 1.2 metres (4 feet) in crest width. 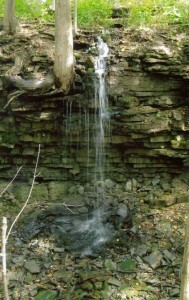 Brown’s Falls is located about 50 metres away from Spring Falls, in Waterdown. 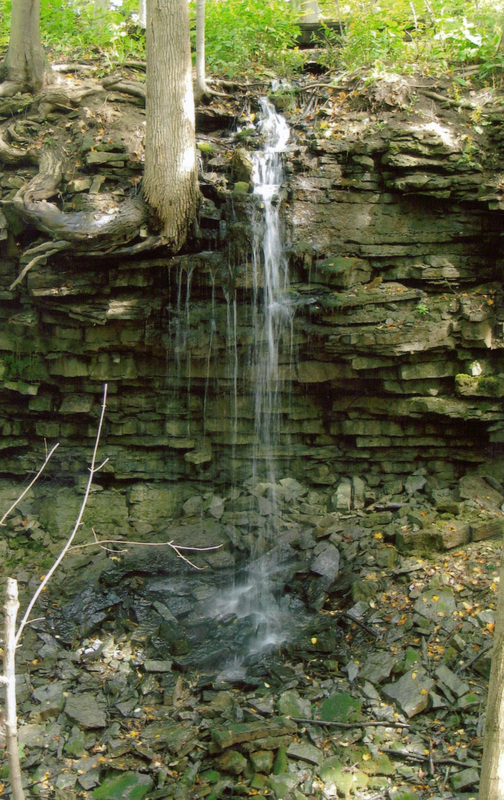 Brown’s Falls is named after a gentleman named Brown, who owned the surrounding lands during the previous century. 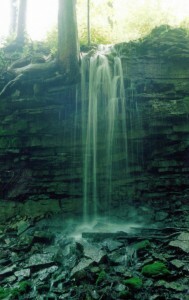 Its flow is derived from natural springs bubbling to the surface. 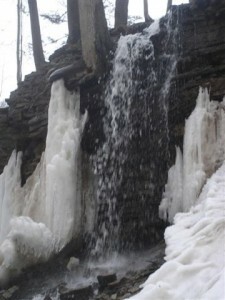 This water flows through a culvert under a driveway to the top of the waterfall. In Waterdown, take George Street off Dundas Street and follow it to the end, where it turns into a private roadway. 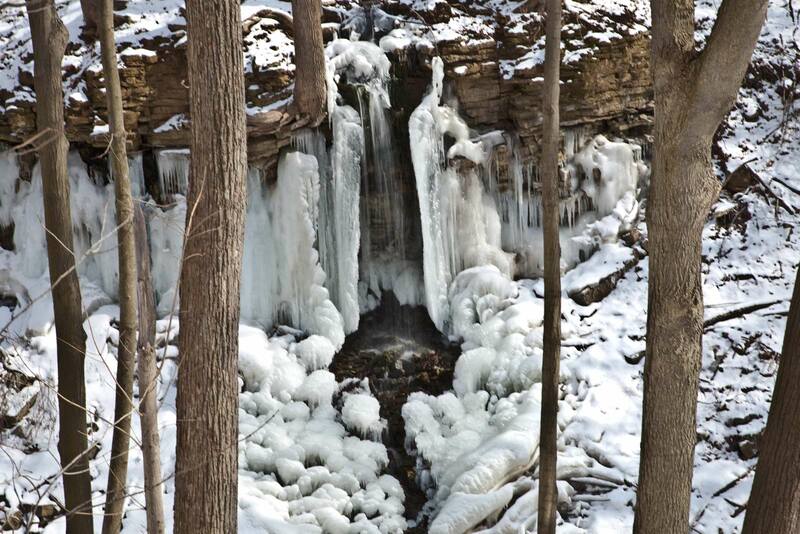 Spring Falls is at the wooden bridge. 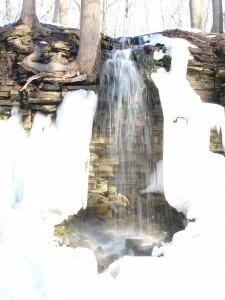 Brown’s Falls is about 50 metres further along the private laneway, past the bridge. 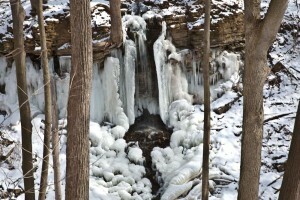 It is located on private property and permission should be asked unless you approach from the creek which is difficult.